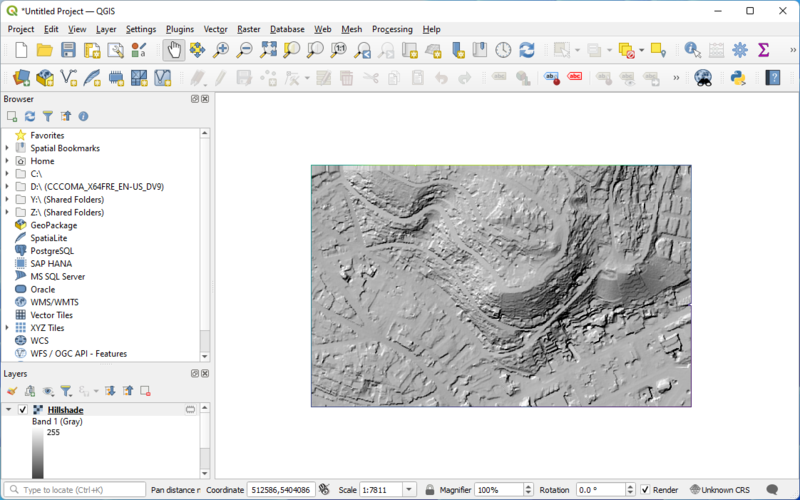 This exercise uses PDAL to generate an elevation model surface using the output from the Identifying ground exercise, PDAL’s writers.gdal operation, and GDAL to generate an elevation and hillshade surface from point cloud data. The primary input for Digital Terrain Model generation is a point cloud with ground classifications. We created this file, called denoised-ground-only.laz, in the Identifying ground exercise. Please produce that file by following that exercise before starting this one. denoised-ground-only is the LASzip file we will clip. You should have created this output as part of the Identifying ground exercise. The writers.gdal writer that bins the point cloud data into an elevation surface. Something happened, and some files were written, but we cannot really see what was produced. 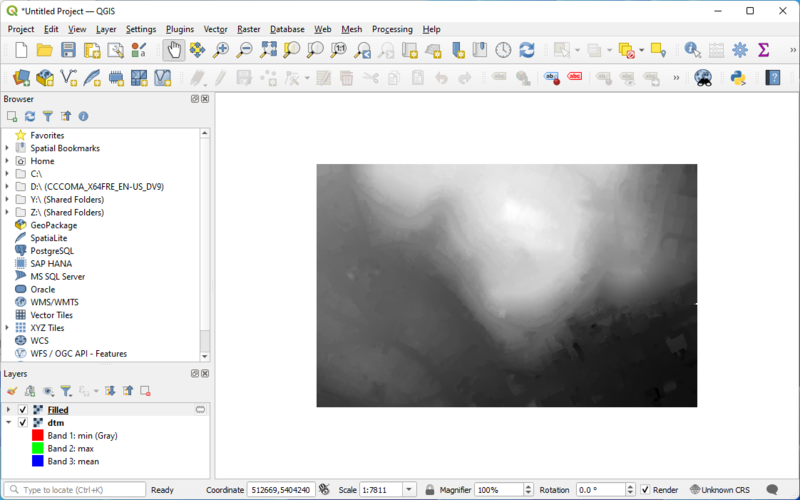 Let us use QGIS to visualize the output. 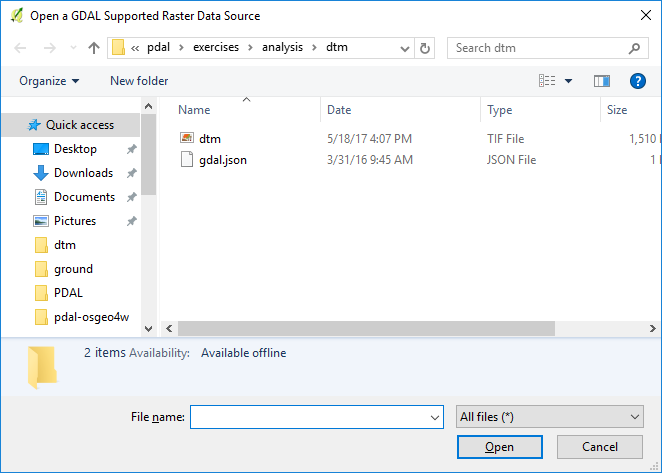 Add the dtm.tif file from your ./PDAL/exercises/analysis/dtm directory. Classify the DTM by right-clicking on the dtm.tif and choosing Properties . 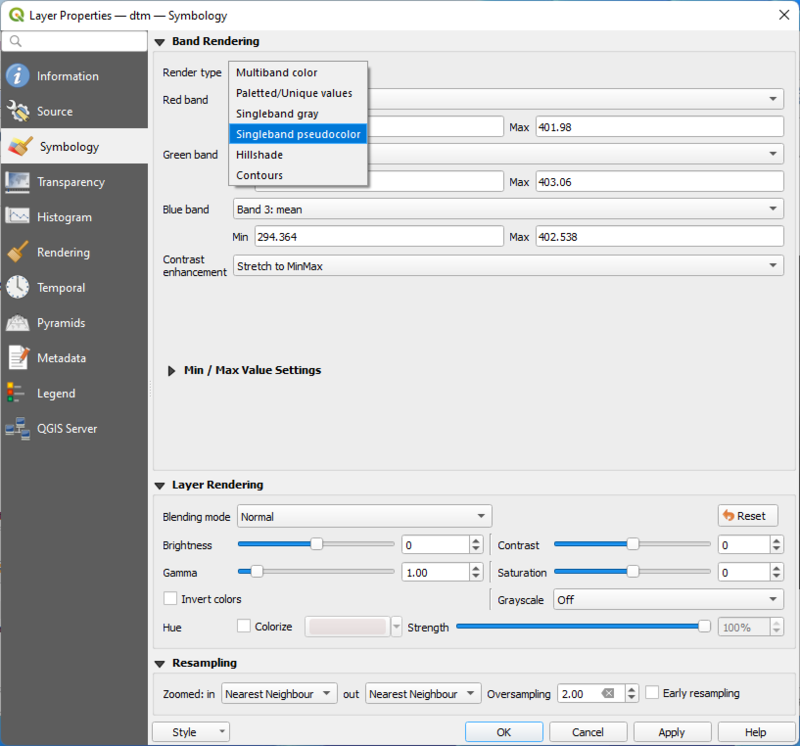 Pick the pseudocolor rendering type, and then choose a color ramp and click Classify . 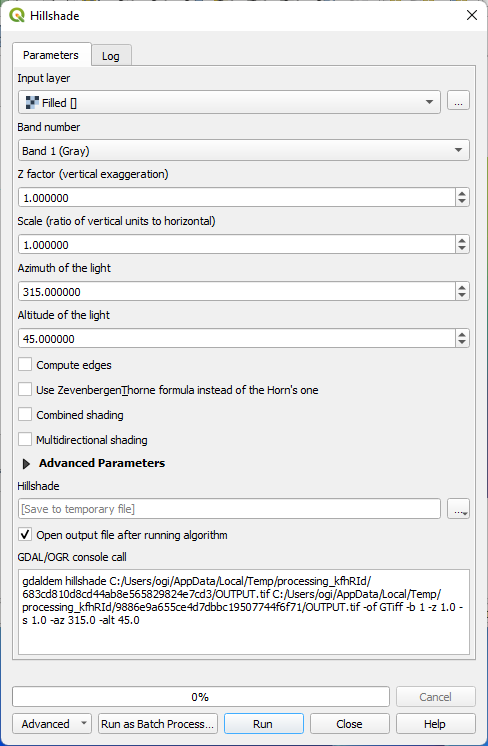 Click the window for the Output file and select a location to save the hillshade.tif file. 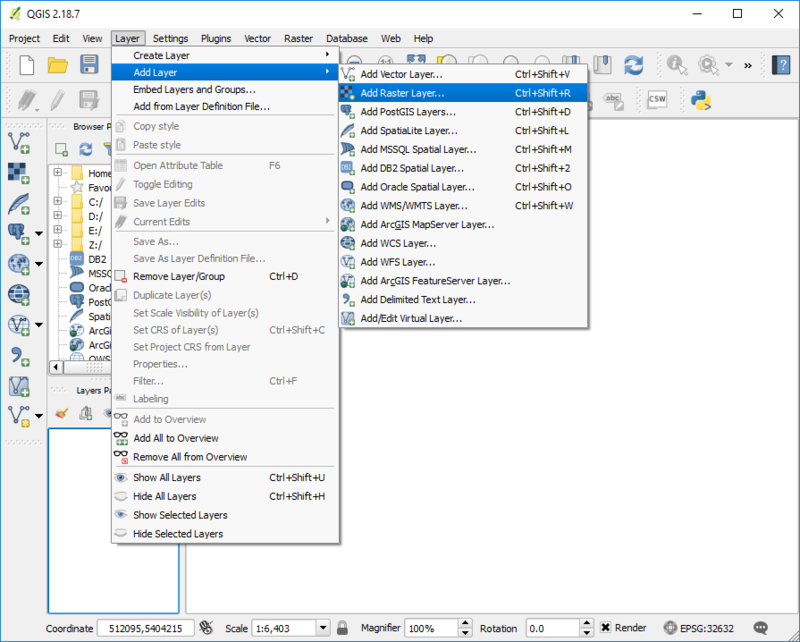 gdaldem, which powers the QGIS DEM tools, is a very powerful command line utility you can use for processing data. writers.gdal can be used for large data, but it does not interpolate a typical TIN surface model.